Despite Virginia’s strict gambling laws, restaurants, bars, and gas stations are adding so-called “skill machines” to draw people who wish to wager money in an attempt to win big. Because the results aren’t left entirely up to chance, these slot-style machines lie in a gambling gray area. It sits a few blocks from the bustle of Carytown, under a deep blue awning and the gaze of its mascot — a sunburnt moose holding up a pint with a cocked, toothy smile. When City Beach is nearly empty, the bar is vast and echoey. It appears to defy physics, a deeper space than the building should be able to handle when viewed from the street. Past the smokers planted on the front patio and just through the doors stands a little room on the left. When occupied, the room can be loud, with an onslaught of clashing, out-of-time electronic sound effects from four bulky machines. Hands come down hard on buttons, and people yell to each other in frustration — or joy when they win a jackpot. From the spinning wheels and the colorful cartoon images on the screens to the hands pulling out wallets and feeding in 10s, 20s or even $50 bills, the room looks like a miniature Las Vegas. The machines look, sound, feel, and act like slot machines, which are against the law in Virginia. But these devices are called “skill machines,” on grounds that they’re not based entirely on chance. For the present moment, skill machines are 100 percent legal, and they’re popping up all over the commonwealth. Besides the touch screen, each skill machine boasts two big buttons — easy to press, easy to slam: “Play” and “Ticket.” These let the player spin or cash out. In the little room, a man named Pierce sat slightly slouched back at the closest machine to the doorway. He declined to give his last name. Batting his hand at the play button as he spoke, his attention stayed trained on the game. Gambling isn’t new to Pierce. His mother is “a slot grinder,” and his stepfather has skill machines in the Pennsylvania bars he operates. “So I’ve been playing these for years,” Pierce said. At this point, Pierce’s machine said he was at $95. He had put in $45 to begin and had been as high as $160, but the “Ticket” button sat unpressed as Pierce kept testing his luck — or skill, depending on your point of view. He was playing a game called “Pirates” — his favorite on this machine. Different games have different themes, sounds and cartoon garnishes, but in essence, they all are similar: They are all variations on tic-tac-toe, meaning a certain image has to connect across all three rows, for the player to win. Bets range from 40 cents to $4. The higher the bet, the higher the payout. Players are presented a set of three-by-three rows and the goal of making a pattern like tic-tac-toe. Each play costs a bet and spins the rows. The hope is to line up at least two of the same images because once the spin is over, you can place a “wild” anywhere on the board to finish the row. The “next puzzle” option feels like a cheat code to some players, and yes, it’s as straightforward as it sounds. At any point, a player can see the results of their next spin, whether they’ll win thousands of dollars or absolutely nothing. Knowing the next puzzle can help players make their decision: pull out or keep playing. But ultimately, the “next puzzle” is only second in an endless line of puzzles, and many players are keenly aware of this caveat. So they keep betting to see what might be around the corner. This extra piece of information is the argument for why the machines should be called skill machines and not slot machines. 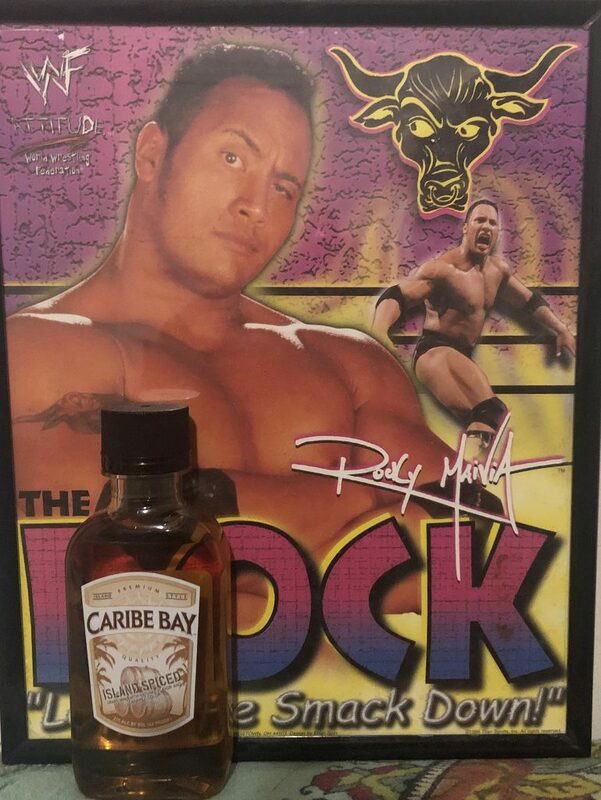 It’s why people like Pierce can step into a bar any night of the week and risk some of their cash in hopes of hitting it big. Short of hitting a jackpot by lining up the three cartoon tiles assigned to the most money, players tend to hope for a “bonus” win. These are specialty tiles that often specifically say “bonus” on them. They can give the player extra spins or queue a simple minigame, such as opening virtual suitcases or spinning a wheel. Players’ reactions reveal that these types of wins are exciting, and it’s easy to see why. They are much more attainable than the standard jackpot win, but they can still draw some serious money. After a few minutes, Pierce hit a bonus, giving him 10 extra automatic spins. The rows started spinning rapidly, possessed, and people in the room gathered to watch over Pierce’s shoulder. Pierce excitedly circled the ice in his drink and yelled a few more times, but as the spins started to run out, he calmed down. “Ah, it’s not going to be anything crazy, man,” he said, with a tinge of disappointment. The bonus spins depleted, numbers flew to the center of the screen to calculate the winnings: $50, putting Pierce’s overall money in play at $136 and some change. “I put $45 in. If I cash out now I’m up $90,” he estimated. Pierce tapped around on the screen, checking the next puzzle for the bet amount he was playing on. Nothing. Eventually, he pressed the “Ticket” button, and the machine discharged a warm, freshly printed receipt, which Pierce took to the bar and traded for cash. Soon, somebody else sat at Pierce’s machine. Sure, Pierce had made money, but he hadn’t hit the jackpot. The amount, thousands of dollars, taunted from the screen. It was still anybody’s game. Currently, gambling is restricted in Virginia. State law allows betting on horse races at licensed locations, and charitable gaming, such as a limited number of bingo games and raffles that benefit nonprofit groups. During the General Assembly’s 2019 session, legislators introduced bills to legalize casinos, authorize sports betting and expand charitable gaming. Most of those proposals failed. However, skill machines fall into a legal loophole, allowing bars and other establishments to install — and profit from — the devices. Queen of Virginia Skill & Entertainment, the company that makes the skill machines used in Virginia, says its devices aren’t illegal because there’s an element of skill. “Our machines’ software take out that element of chance and add skill because, based on the player, they can actually win more money than they put in every single time they play our game,” said Kevin Anderson, the director of compliance for Queen of Virginia Skill and a former enforcement agent for the Virginia Alcoholic Beverage Control Authority. The software originated in Pennsylvania, where it went through several court systems, Anderson said. He said Queen of Virginia Skill machines are the only ones checked by a government entity. Attorney General Mark Herring has not filed a complaint against the skill machines. A spokesperson for his office said Herring will let each jurisdiction decide whether to allow the machines. “We have our games in almost all jurisdictions in Virginia,” Anderson said. He said the machines are located only in ABC-licensed facilities. That would include bars, restaurants that serve alcohol and gas stations that sell beer and wine. Anderson said that Queen of Virginia Skill asked the ABC to examine its machines and software and that the agency gave a favorable review. Officials at the Virginia Lottery also weighed in, saying they are not worried about skill machines. However, when asked whether the machines are legal, they declined to comment. This spring, the Virginia Lottery is adding a feature to its app to allow consumers to play lottery-type games through their phones at any retail location in which they connect through a Bluetooth connection, Mullen said. Trent Hazelwood, a server at New York Deli and a casual skill machine player, said he believes the new lottery app was designed to compete with the skill machines; however, the Virginia Lottery said there is no correlation. For restaurants and bars, skill machines can provide a new revenue stream. The hosting businesses keep 40 percent of the money that the machines take in. Thirty percent of the revenue goes to the companies in charge of distributing and maintaining the machines, and 30 percent goes to Queen of Virginia Skill & Entertainment. 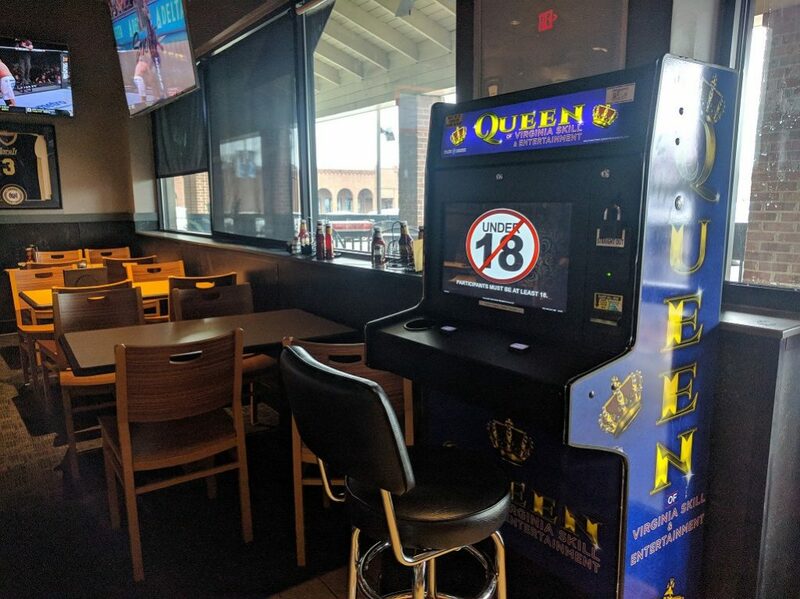 According to Brice Slack, general manager at Buffalo Wild Wings on West Broad Street in Henrico County, a community has emerged among skill machine players who move from place to place, hoping to hit a jackpot. “There’s regulars amongst the Queen machine community that kind of hop from establishment to establishment,” Slack said. Slack doesn’t believe players will have much luck trying to outsmart the machines. “It is just a series of spins,” Slack said. In theory, industry officials say, skillful players should be able to win on any machine equally. It’s the distinction that makes the machines legal and popular. “Players can WIN every time based on skill & not chance,” Queen of Virginia Skill & Entertainment says in a bulleted entry on its website. But some people who work with the machines daily aren’t convinced. “Is it really skill? Not really, no. It’s still chance either way,” said Miles Murdock, a server at New York Deli. Working just a few feet from his restaurant’s machines, Murdock said he is a frequent player. He even remembers the day they appeared at his workplace. He said his boss framed them as a surprise, a gift of sorts to the employees. Unlike some of his customers, Murdock plays with extra money — his tips — and he views the skill machines as entertainment. The machines aren’t paying his rent or buying his groceries. They’re just for fun, he said. But then again, Murdock said some people are much luckier than he is. They come in, win big and often, and have their own little rituals to keep the money flowing, he said. Hazelwood, Murdock’s coworker, offered an example. I’m just going to tell you about this one guy,” Hazelwood said. “He pushes the buttons a certain way. He taps the screen a certain way. And he is convinced that, like, the way that he taps the button or presses the screen means that it will trigger something. The community of skill machine players can take the game very seriously. At first, some businesses worried about hosting such activities in establishments that serve alcohol. But local businesses have had few problems with skill machine patrons. Murdock said he occasionally finds parents letting their kids play, which he immediately prohibits — “Participants must be at least 18,” notes a bold, red screensaver as customers sit down to play. Once, a patron told Murdock the machine ate their money. Virginia has shown reluctance to fully embrace gambling. But at least for these skill machines, those populating bars and restaurants — the servers, managers and people sitting down to play with a drink in their hands — are showing less reluctance. Violence continues to disrupt Shockoe Bottom businesses as two shootings, an armed robbery and a street shooting, both occurred within four days of each other between the 1800 and 1700 blocks of Main Street. Six people were injured during the armed robbery at Liquid Café in Shockoe Bottom this past Saturday morning, shortly after 5 a.m. A street shooting took place outside Plush Restaurant and Lounge the previous Wednesday, wounding three and resulting in the arrest of 25-year-old Darroll G. Allen of Chesterfield County. The man was said to have been kicked out of the club, later returning with a firearm and injuring one of the bouncers at the club. He was charged with felony malicious wounding and use of a firearm in the commission of a felony, but the two suspects involved in Saturday’s armed robbery remain unidentified. None of the injuries from either incident were considered life-threatening. According to Department Spokesman Gene Lepley, these strategies will include increased police presence on weekends and potential road closures to allow for pedestrian-only walking areas in particularly busy street sections, such as the 1800 block of Main Street. Liquid Café is not active in the Shockoe Bottom Neighborhood Association. Virginia ABC Spokeswoman Dawn Eischan said both Plush and Liquid Café are under investigation, and Virginia ABC is working with Richmond Police. Plush’s wine and beer license is suspended until further notice, and their liquor license has been revoked. “Virginia ABC believes that there is a continued threat to public safety at this establishment and these actions are necessary to protect the health, safety, and welfare of the public,” said Eischan. Local business owner William “Mac” McCormack is relieved after learning Virginia ABC’s decision, as he and several other business owners in the Shockoe Bottom Neighborhood Association have contested the licenses of several Shockoe Bottom clubs in the past. McCormack is particularly frustrated with the response from the City of Richmond as well as RPD over the past eight years, as their reactions to violence have been to increase police presence and introduce road blockades rather than rezone, revoke business licenses, or decrease maximum occupancy limits in nightclubs. According to McCormack, preventing access to local business caused by the blockades have directly affected his sales. Total sales over his 21 years of businesses average $650,000 to $700,000 per year, yet after introducing blockades, sales dropped to $62,000 in one year. He hopes that in the future, all Shockoe Bottom businesses will focus on their local community and take responsibility for the neighborhood around them. However, the owner of Plush nightclub, Juan Wilson, feels he’s being unfairly targeted. “I’m big on accountability. If something were to happen in my venue, it’s a different story, but when something happens on the city streets or sidewalk, we have no control over that,” Wilson told WTVR in a recent interview. The Shockoe Bottom Neighborhood Association held a meeting earlier this week with business owners, but according to WTVR, Wilson said he was not invited to the meeting.